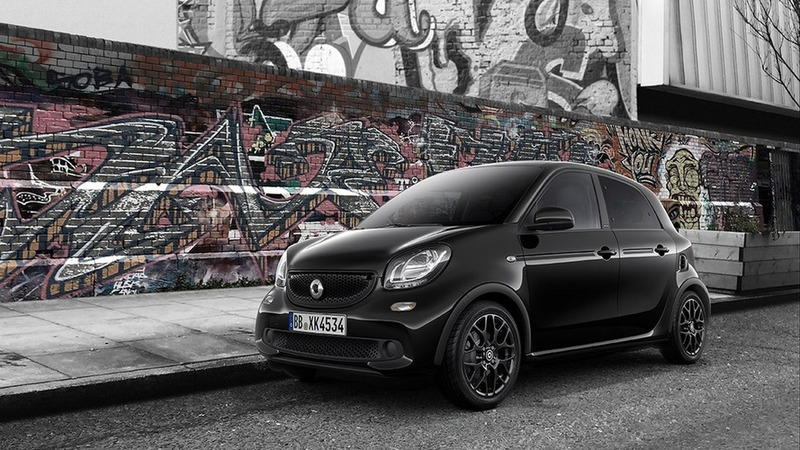 Apart from a new name, the Fortwo and the Forfour also get visual makeovers and a fast-charging function. 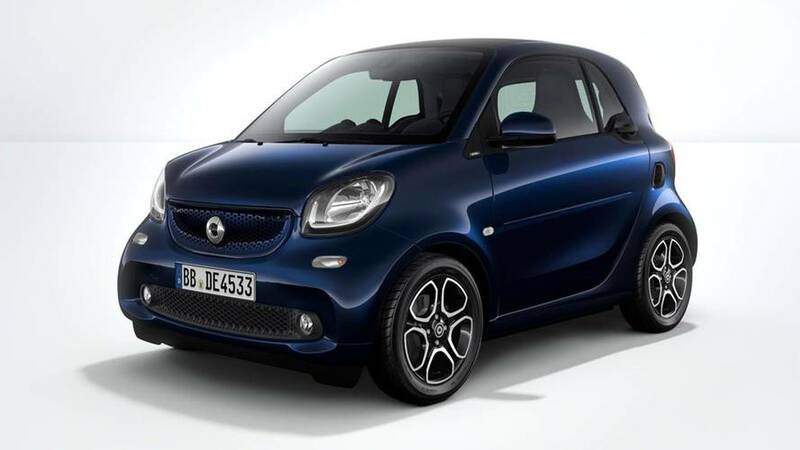 An exclusive shade of blue paint makes the electric coupe special. 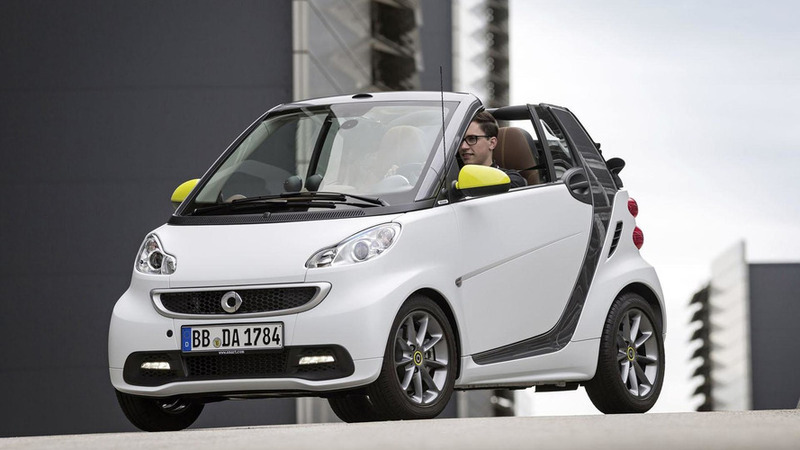 The company also shows off some new optional tech for the Fortwo. 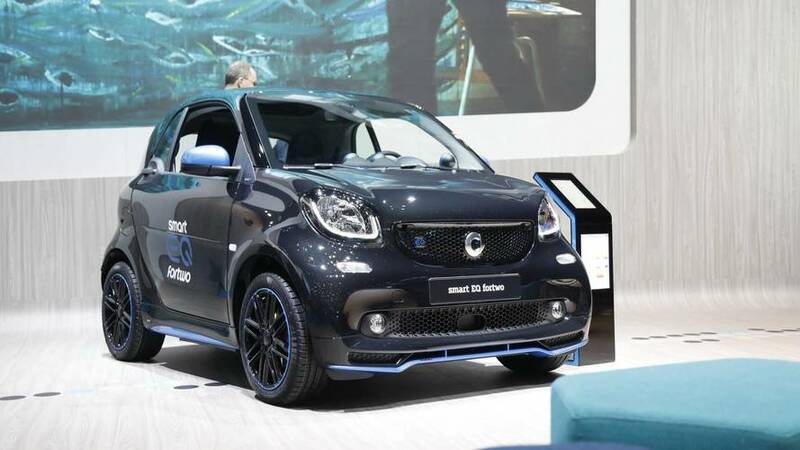 The special edition made its debut at Auto Shanghai. 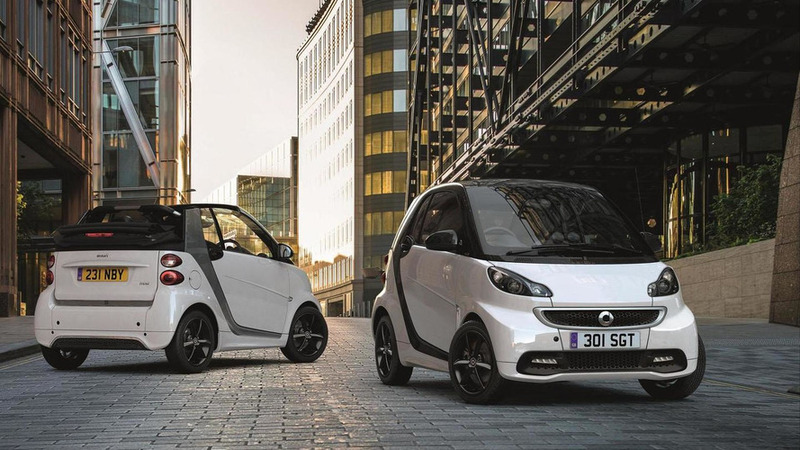 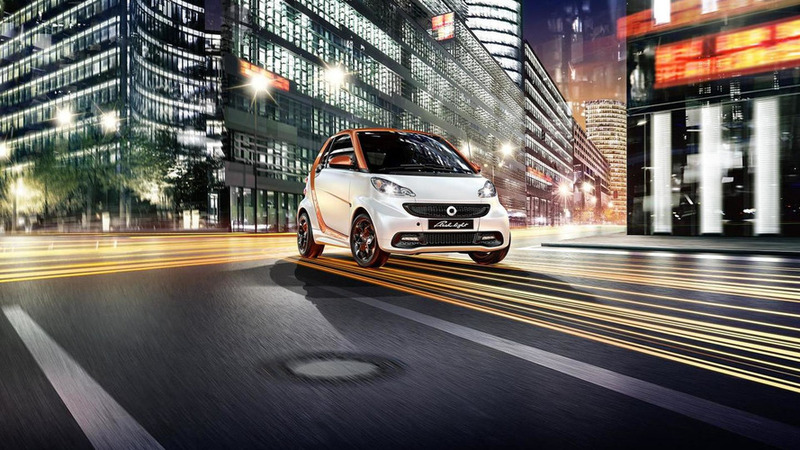 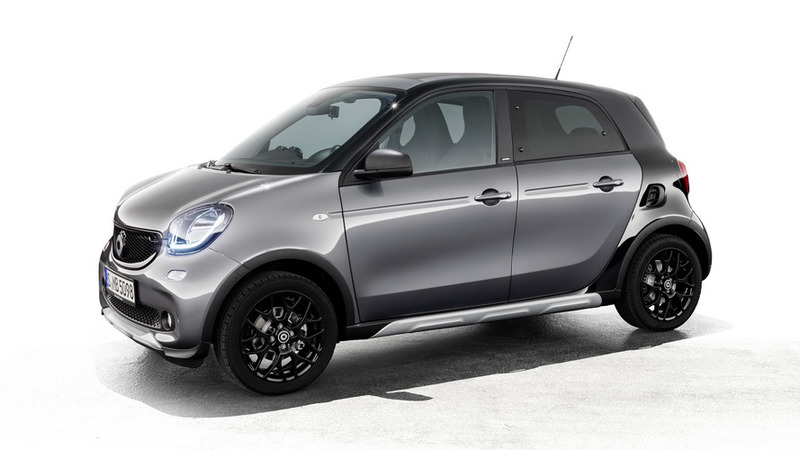 Smart is introducing black and white special editions of the ForTwo and ForFour in United Kingdom. 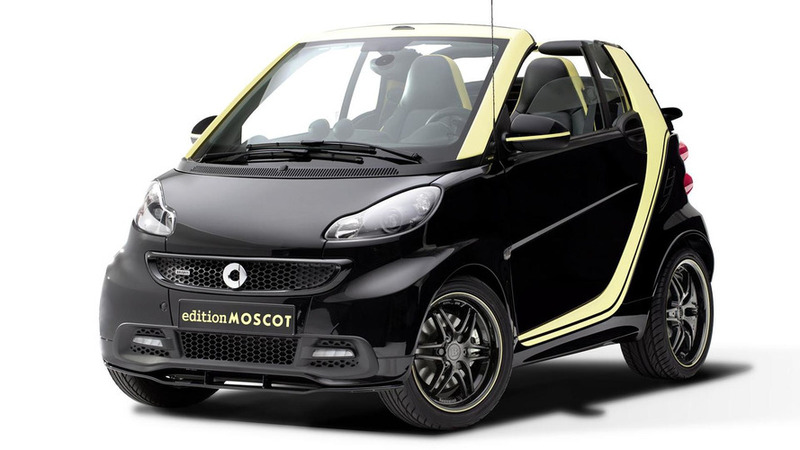 Smart has teamed up with eyewear maker MOSCOT for a special edition of the outgoing ForTwo Cabrio. 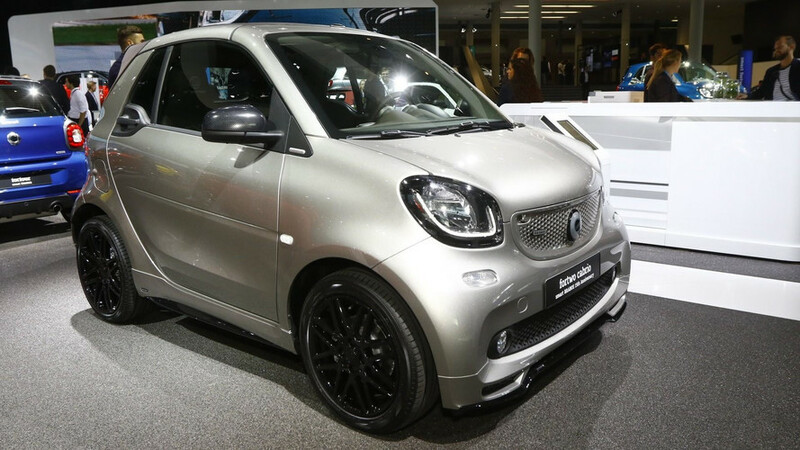 Smart has introduced the fortwo edition flashlight cabrio at the 2015 North American International Auto Show. 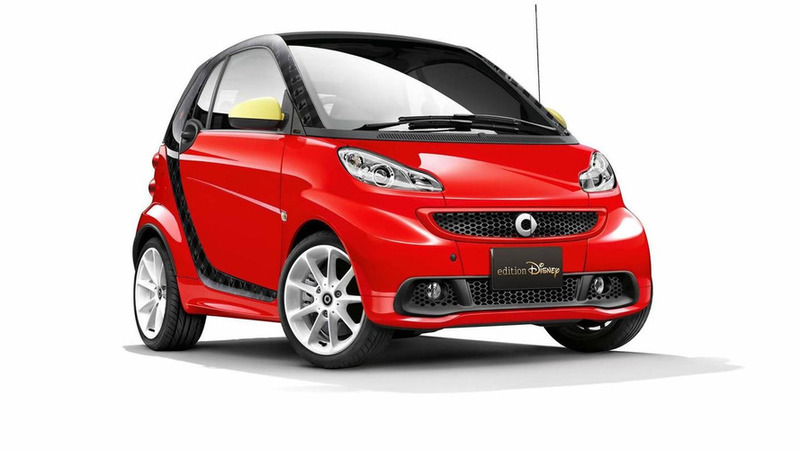 Smart has announced a limited-run Disney Edition of the ForTwo Electric Drive which will be sold exclusively in Japan. 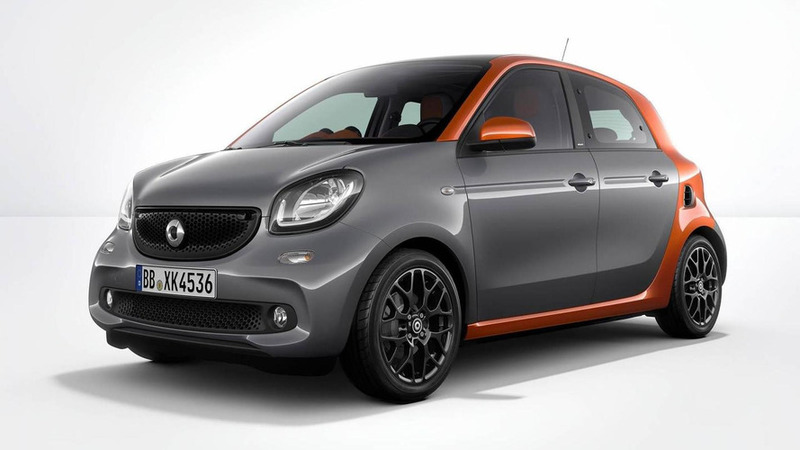 Daimler has introduced an "Edition 1" version of the recently launched second generation Smart ForFour. 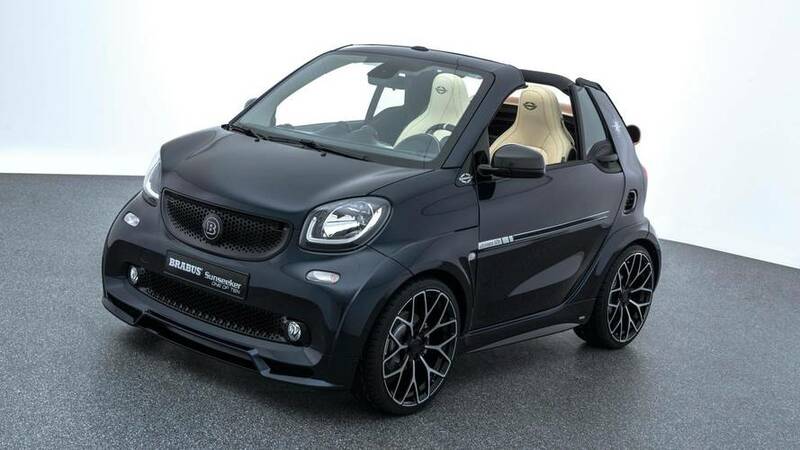 Smart has taken the wraps off the ForTwo Brabus Fan Edition which will be showcased at smart times 14 in Cascais, Portugal between July 17-19. 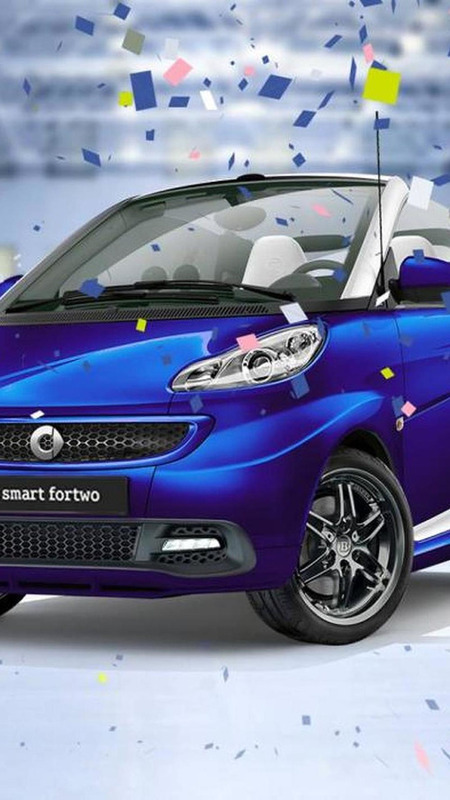 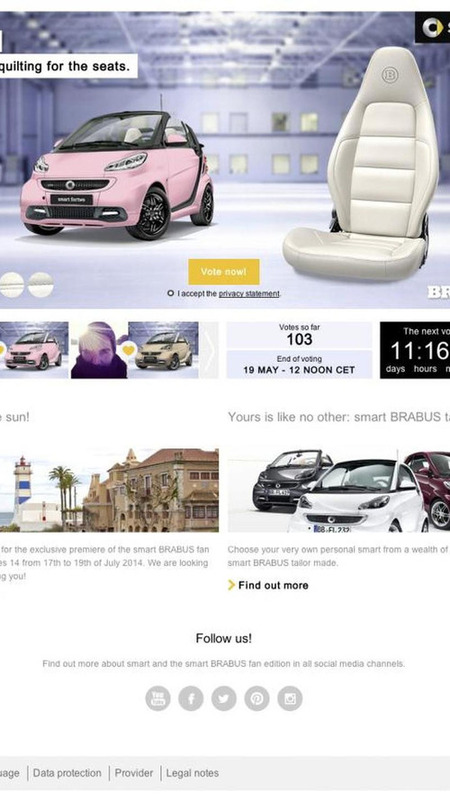 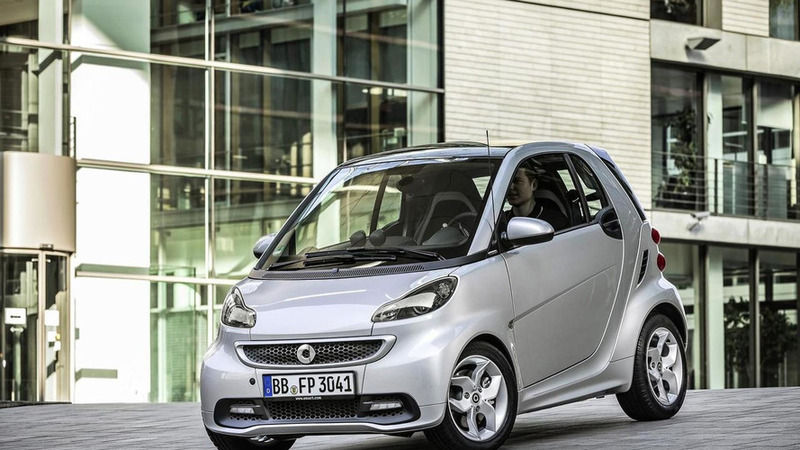 Smart has announced plans to produce a crowd sourced ForTwo Brabus special edition. 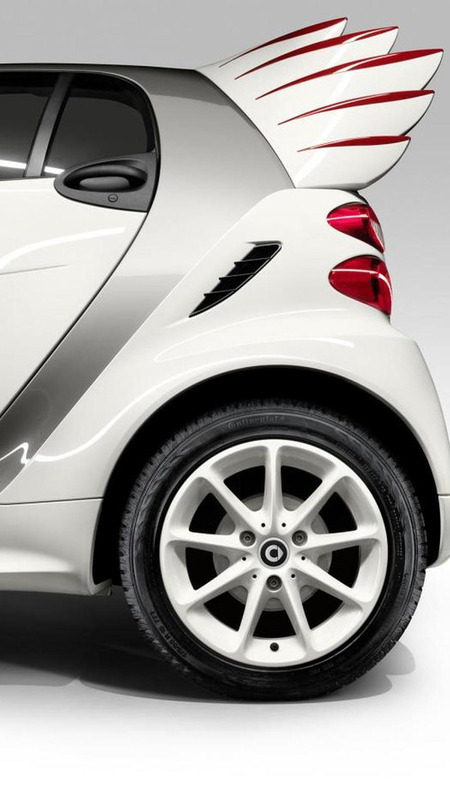 Smart ForTwo GrandStyle Edition revealed for the U.K.
Smart has announced plans to offer a ForTwo GrandStyle Edition in the United Kingdom. 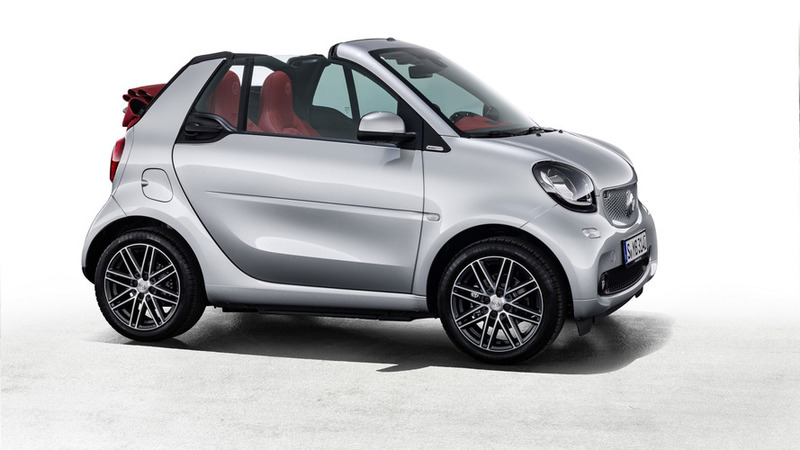 Smart has introduced the new ForTwo BoConcept special edition. 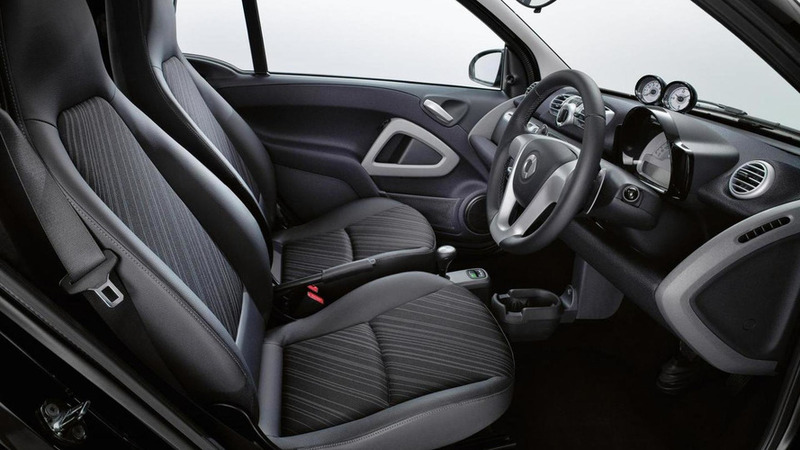 It features a luxurious interior with two-tone seats and yellow contrast stitching.